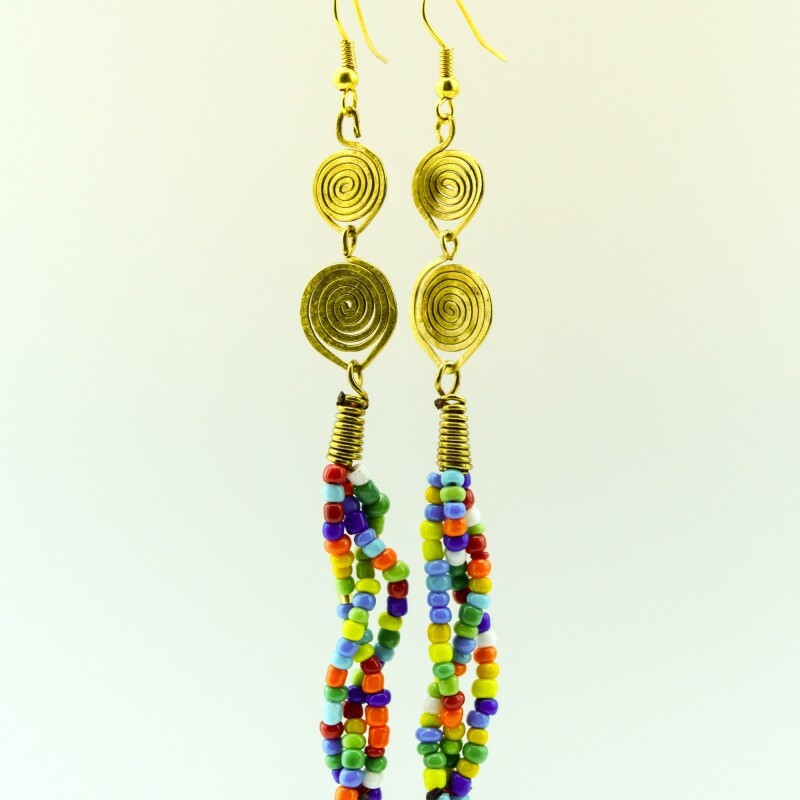 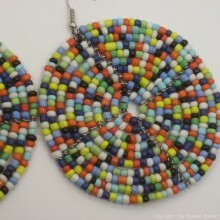 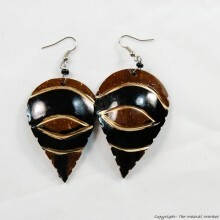 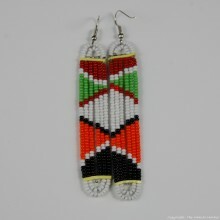 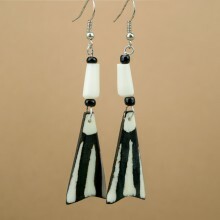 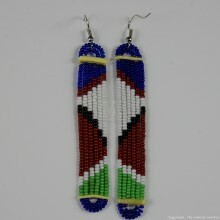 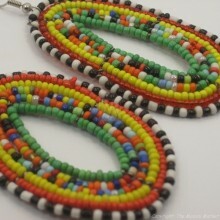 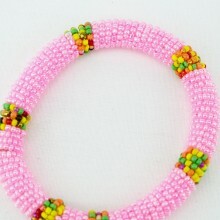 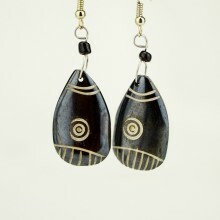 These earrings are made of multi color Maasai beads and wire. 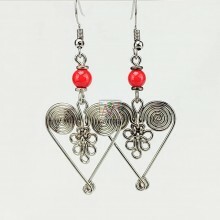 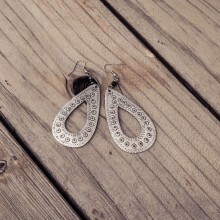 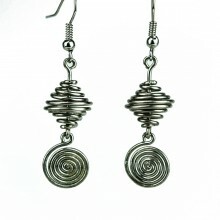 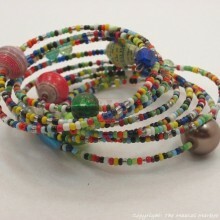 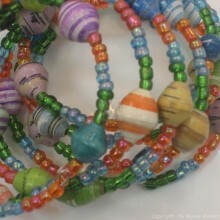 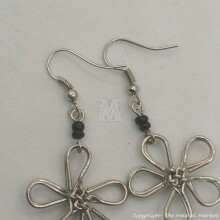 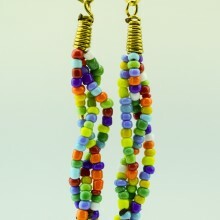 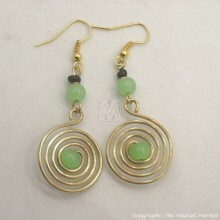 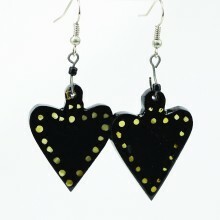 Each earring has three strands of multi color beads that are twisted and joined at the bottom. 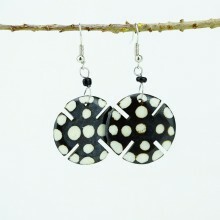 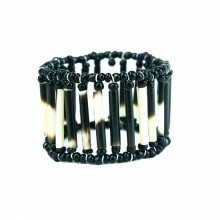 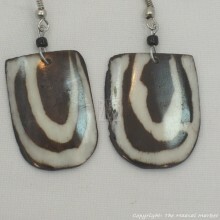 Purchasing jewelry from us helps sustain the artisans that make them for a living. 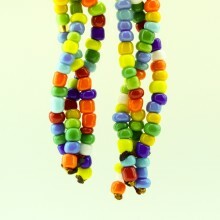 Measurement: The dangle measures app. 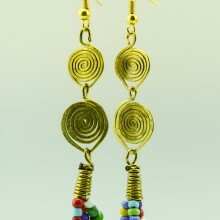 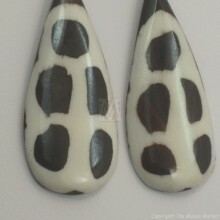 3 3/4", whole earring app. 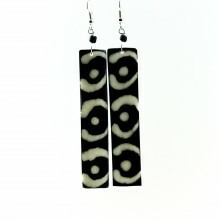 4 1/2"